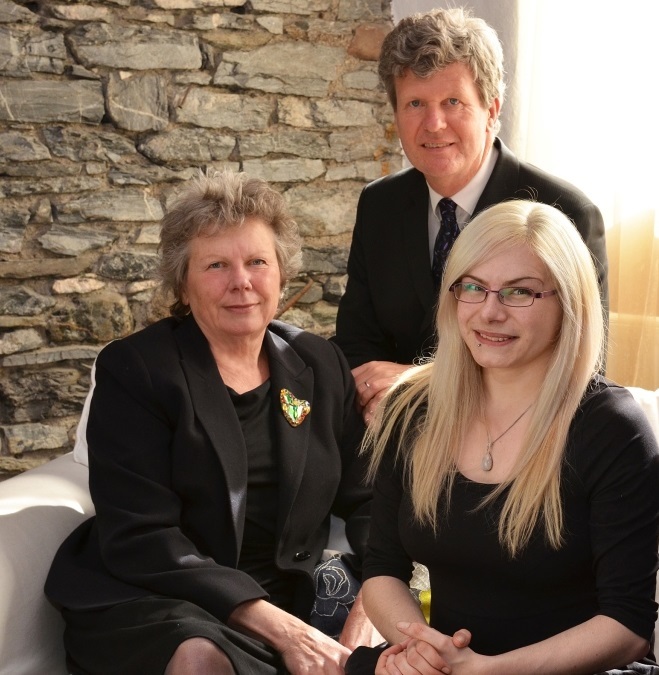 Jane Morrell established her funeral company in 1999 and her husband Simon Smith joined her in 2005 and daughter Hannah in 2011. We are fiercely independent so that we can serve you in the best way we can, giving you time and attention when you most need it. We have been voted Good Funeral Guide Funeral Director Of The Year for the work we do. We believe each funeral should be exactly suited to the life, character and values of the person who has died, and that each family should be able to do what they need to do during this tender period of time. With Heart & Soul Funerals you are choosing a value led family owned and run company. Not born and bred into the funeral sector, we (Jane Morrell and Simon Smith) came gradually into this work with a passion fired by our own experiences of close deaths. Fifteen years on, with the addition of our daughter Hannah and colleague Birte, we are now award-winning and highly qualified funeral directors (NAFD Funeral Directors Diploma; Bath University Degree In Funeral Services and Diplomas in Therapeutic Counselling, Accredited Member of the Society of Bereavement Practitioners) and we put everything we’ve got into ensuring that you have a funeral with heart and soul, one that expresses love and meaning through beauty, whatever your beliefs. "We are grateful for the very generous help, wise counsel and support you gave in the difficult days following Mum’s death. Saturday’s farewell and celebration of her life will remain with us all for a long time. It couldn’t have been done better." I am founder and director of Heart & Soul Funerals and Green Fuse Funeral Training. My passion is for improving family's experiences of funerals. This is rooted in my own personal experience of the death of my father. Excluded from attending his funeral when I was ten, this has had an enormous impact on my life. Through Green Fuse we train funeral celebrants and funeral arrangers across the UK to give families support and information to find their own way to say farewell. We are also authors of the book ‘We Need To Talk About The Funeral - 101 Practical Ways To Commemorate And Celebrate A Life’, a guide based on their work with families. I am a director of Heart & Soul Funerals and Green Fuse Bereavement Care and work as a funeral director, arranger and celebrant. I also teach on the Green Fuse funeral celebrant and arranger trainings. 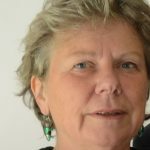 I came into this work when Jane Morrell set up Green Fuse in 1999 and have been full time since 2005. I feel that working with bereaved families and the dying is the most fulfilling and inspiring work I can do and I really want to make a difference, to help make the experience of the death, the funeral and grief in some way life affirming. Yes I accompany people at a low ebb in their lives, but also at a time when they find the courage and the spirit to make meaning from what is happening to them. My first experience of death was when my first wife died in her early 40s. We had been separated for a year, but I arranged her funeral. Afterwards I found out that the funeral directors could have made the process easier for me – I felt channelled along their way of doing things. This brought me to think that what families need are information, openness and support to make their own decisions, for a funeral that fits their own family culture, values and lifestyle. I have the Foundation Degree in Funeral Services from Bath University, and I am an Accredited Member of the Society of Bereavement Practitioners. I also trained in psychotherapy and wrote a book called Inner Leadership based on that work. With Jane I co-authored We Need To Talk About The Funeral – 101 Practical Ways to Commemorate and Celebrate A Life. I love music and words, so putting together ceremonies is a great pleasure for me. After many years of observing and quietly admiring the work of my Mum (Jane) and Dad (Simon), I took a leap of faith and joined them in 2012. It was a decision I had to make in my own time and after doing some travelling in my early 20s I came home and realised that loss, grief and love were things I understand. I was 12 when my father died suddenly and although it was a very difficult time, the experience of his funeral was overall a positive one, thanks to the support and creativity Jane and Simon showed me in the creation of his service. I was made to feel that my opinion and ideas were valuable and had importance. This was a very formative experience in terms of my own attitudes towards death and the importance of including children and young people when they have been bereaved. My main role at Heart and Soul is to care for the dead. This is a role that I take great pride in and believe it to be an honour to often be the very last person to extend tenderness to the person who has died. The dead deserve no less respect and dignity than someone who may be bed bound or unable to care for themselves. Gentleness, respect and dignity are paramount when I am working. Where possible I encourage and support family members or close friends to come and be part of this process, whether that's at our own mortuary or, if it is appropriate, I will travel to the person’s home to care for them where they died. I will always offer the opportunity to be involved in as little or as much of the process as they would like. We also have a beautiful space available to anyone wishing to come and spend time with their loved one after I have cared for them, and I regularly support family members and friends who desire to do this. I also assist with the arrangements and the undertaking of the funeral on the day. Working closely with the families who come to us creates a real connection to allow them to feel heard and valued during a very challenging time of their lives. When there are children and young people involved, I take great care to ensure they are included and validated in their experience. I spent time training with the child bereavement charity Winston's Wish about creative and age appropriate ways to work with grief and bereavement and will advocate for the children and young people I encounter. Something which follows me anywhere I go in relation to this work is a desire to normalise conversations about death, funerals and bereavement. If I am asked about what I do and the moment is right, I am happy to spend time talking to someone who is curious. For me this is an important part of my role, because only through honest and open conversations can we learn and begin to feel comfortable with topics such as these. I am proud to be a young woman working in the (still heavily male populated) Funeral Industry and the recent resurgence of women entering this field, renews my passion and drive for my job. The times are changing and I am lucky to be part of this. My journey towards Heart & Soul funerals began in Germany; my mother died when I was 17 and I was a spectator at her funeral with no idea where she had been between her death and the funeral, nor had any involvement in the preparation for her funeral to not knowing where she was taken after the service. When my father was nearing the end of his life I started to ask questions and looked around for other options to make his journey one that was accompanied by his family. I was so grateful to meet Michael and Margit Keunecke who supported and enabled us to care for my father, spend as much time with him as we needed after his death and made his funeral a real farewell, rather than a formality and with that also enabling a healthy grief process. This was such an inspiring journey that it lit a flame which has burned ever since and brought me first to train with Simon and Jane in 2005, then to do the Bereavement Support Training with Cruse and on to the Diploma in Funeral Directing with the NAFD in 2010. I have spent ten years with the Co-Op in and around Birmingham first as a Funeral Administrator working with families and then as Funeral Director looking after several funeral homes. I’m very glad to have had the rich experience of looking after families of a very diverse population in the Midlands. It is a great privilege to help families and friends begin their goodbye to those they love, and each family has touched me in some way, for no man is an island……. 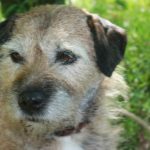 Our bereavement worker! Many people who visit us are comforted by Tati’s quiet attention - she has even been invited to funerals to comfort children. We have our beautiful funeral home by the River Dart, with the most modern facilities to care for the person who has died. 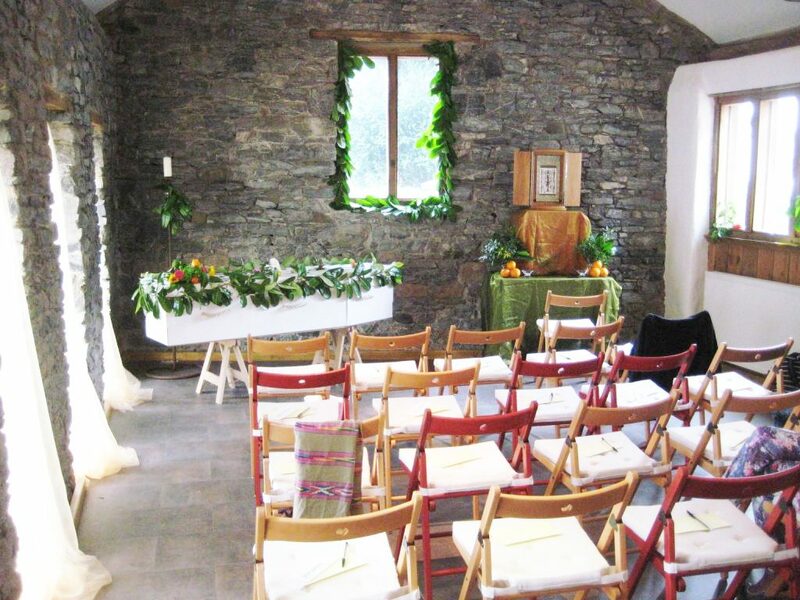 Family and friends can gather together in the beautiful ceremony room for the funeral, vigil and wake. This gives a real alternative for those who want to hold the funeral locally or away from the crematorium. We are funeral directors covering Devon, Totnes, Ivybridge, Buckfastleigh, Ashburton, South Brent, Kingsbridge, South Hams, Exeter, Torquay, Plymouth, South Devon, Central Devon. We are full members of the trade association SAIF and abide by their code of practice. We are recommended in The Good Funeral Guide and by The Natural Death Centre.